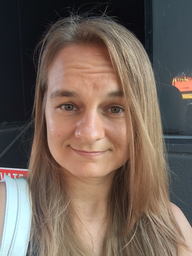 Franziska Meier is a research scientist at the Max-Planck Institute for Intelligent Systems since August 2016. She is also a postdoctoral researcher with Dieter Fox at the University of Washington, Seattle, since February 2017. Before that she was a PhD student at the University of Southern California. She defended her thesis on “Probabilistic Machine Learning for Robotics” in 2016, under the supervision of Prof. Stefan Schaal. Prior to her PhD studies, she received her Diploma in Computer Science from the Technical University of Munich and attended the Georgia Institute of Technology as graduate student in Computer Science. Her research interests lie at the intersection of machine learning and robotics, with a special emphasis on continuous learning for intelligent agents. One challenge towards autonomous manipulation is to cope with uncertainty and noise in the sensory-motor system of the robot and the environment. We argue that such a system requires to close feedback control loops in novel ways, using predictive models and leveraging previous experiences. Hand-eye coordination is crucial for capable manipulation of objects. It requires to know the manipulator's and the objects' locations. These locations have to be inferred from sensory data. 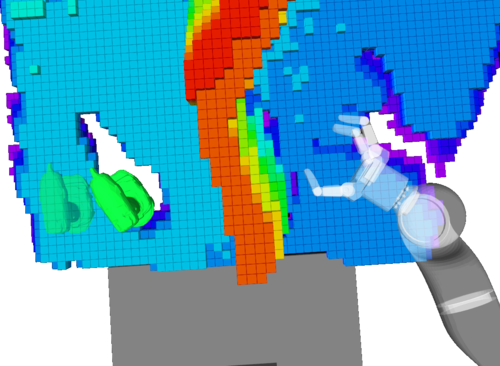 In this project we work with range sensors, which are wide spread in robotics and provide dense depth images. Kappler, D., Meier, F., Issac, J., Mainprice, J., Garcia Cifuentes, C., Wüthrich, M., Berenz, V., Schaal, S., Ratliff, N., Bohg, J. We address the challenging problem of robotic grasping and manipulation in the presence of uncertainty. This uncertainty is due to noisy sensing, inaccurate models and hard-to-predict environment dynamics. Our approach emphasizes the importance of continuous, real-time perception and its tight integration with reactive motion generation methods. 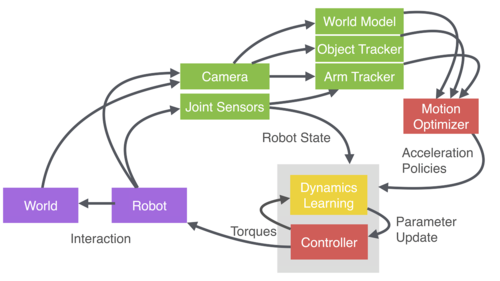 We present a fully integrated system where real-time object and robot tracking as well as ambient world modeling provides the necessary input to feedback controllers and continuous motion optimizers. Specifically, they provide attractive and repulsive potentials based on which the controllers and motion optimizer can online compute movement policies at different time intervals. We extensively evaluate the proposed system on a real robotic platform in four scenarios that exhibit either challenging workspace geometry or a dynamic environment. We compare the proposed integrated system with a more traditional sense-plan-act approach that is still widely used. In 333 experiments, we show the robustness and accuracy of the proposed system. Meier, F., Kappler, D., Schaal, S.
The promise of learning to learn for robotics rests on the hope that by extracting some information about the learning process itself we can speed up subsequent similar learning tasks. Here, we introduce a computationally efficient online meta-learning algorithm that builds and optimizes a memory model of the optimal learning rate landscape from previously observed gradient behaviors. While performing task specific optimization, this memory of learning rates predicts how to scale currently observed gradients. After applying the gradient scaling our meta-learner updates its internal memory based on the observed effect its prediction had. Our meta-learner can be combined with any gradient-based optimizer, learns on the fly and can be transferred to new optimization tasks. In our evaluations we show that our meta-learning algorithm speeds up learning of MNIST classification and a variety of learning control tasks, either in batch or online learning settings. Sutanto, G., Su, Z., Schaal, S., Meier, F.
Kappler, D., Meier, F., Ratliff, N., Schaal, S.
Bohg, J., Kappler, D., Meier, F., Ratliff, N., Mainprice, J., Issac, J., Wüthrich, M., Garcia Cifuentes, C., Berenz, V., Schaal, S.
Ratliff, N., Meier, F., Kappler, D., Schaal, S.
Meier, F., Kappler, D., Ratliff, N., Schaal, S.
Ting, J., Meier, F., Vijayakumar, S., Schaal, S.
Meier, F., Hennig, P., Schaal, S.
Model-based control is essential for compliant controland force control in many modern complex robots, like humanoidor disaster robots. Due to many unknown and hard tomodel nonlinearities, analytical models of such robots are oftenonly very rough approximations. However, modern optimizationcontrollers frequently depend on reasonably accurate models,and degrade greatly in robustness and performance if modelerrors are too large. For a long time, machine learning hasbeen expected to provide automatic empirical model synthesis,yet so far, research has only generated feasibility studies butno learning algorithms that run reliably on complex robots.In this paper, we combine two promising worlds of regressiontechniques to generate a more powerful regression learningsystem. On the one hand, locally weighted regression techniquesare computationally efficient, but hard to tune due to avariety of data dependent meta-parameters. On the other hand,Bayesian regression has rather automatic and robust methods toset learning parameters, but becomes quickly computationallyinfeasible for big and high-dimensional data sets. By reducingthe complexity of Bayesian regression in the spirit of local modellearning through variational approximations, we arrive at anovel algorithm that is computationally efficient and easy toinitialize for robust learning. 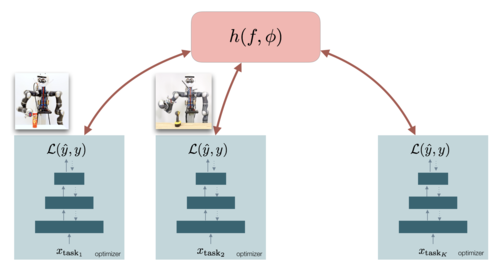 Evaluations on several datasetsdemonstrate very good learning performance and the potentialfor a general regression learning tool for robotics. Meier, F., Theodorou, E., Schaal, S.
Pastor, P., Kalakrishnan, M., Meier, F., Stulp, F., Buchli, J., Theodorou, E., Schaal, S.
Meier, F., Theodorou, E., Stulp, F., Schaal, S.
Segmenting complex movements into a sequence of primitives remains a difficult problem with many applications in the robotics and vision communities. In this work, we show how the movement segmentation problem can be reduced to a sequential movement recognition problem. To this end, we reformulate the orig-inal Dynamic Movement Primitive (DMP) formulation as a linear dynamical sys-tem with control inputs. Based on this new formulation, we develop an Expecta-tion-Maximization algorithm to estimate the duration and goal position of a par-tially observed trajectory. With the help of this algorithm and the assumption that a library of movement primitives is present, we present a movement seg-mentation framework. We illustrate the usefulness of the new DMP formulation on the two applications of online movement recognition and movement segmen-tation.